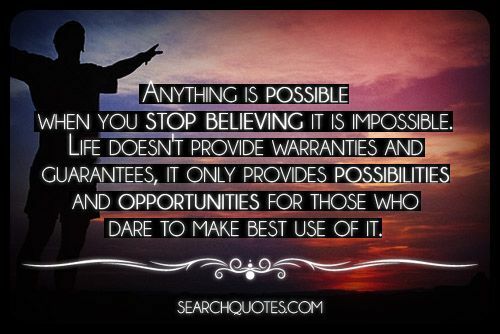 Anything is possible when you stop believing it is impossible. Life doesn't provide warranties and guarantees, it only provides possibilities and opportunities for those who dare to make best use of it. Almost everything that was ever said to be impossible has already been accomplished. Instead of listening and believing that what is inside of you is impossible take time to focus your vision and your energy on doing what you know in your heart is possible. Society is changing and the things that sustain us most are things that add value to our lives everyday. 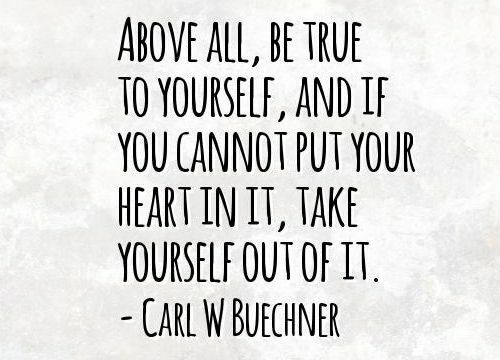 When we choose to build from the heart instead of aiming to build a life that pleases everyone but our true selves, we are proactively choosing to build our lives over more solid foundation. As individuals we are always faced with challenges. 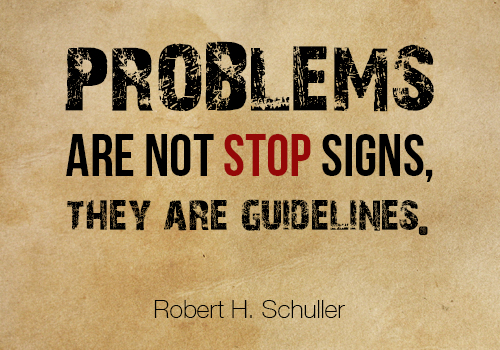 These problems are only temporary setbacks to help us challenge our beliefs and work ethic. 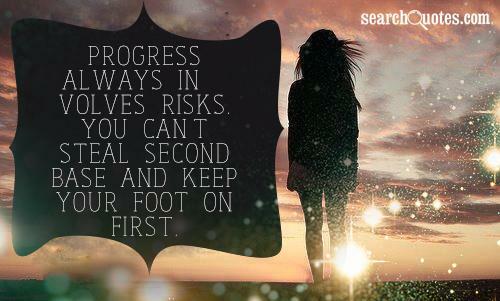 Getting out of your comfort zone is very important for those who are looking to further their life journeys. It isn't unheard of to have a 'successful' life doing things that you are mediocre to proficient at, but to live a life in which you actually achieve great fulfillment and happiness you have to be willing to push your limits. Always smile. 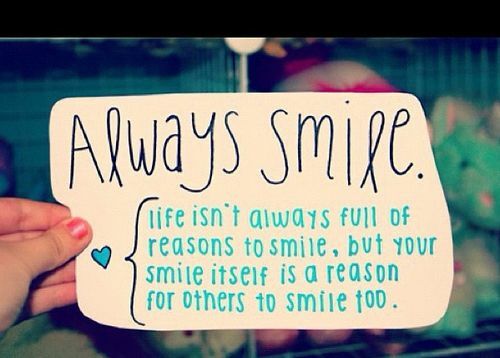 Life isn't always full of reasons to smile, but your smile itself is a reason for others to smile too. There is much more in life to stress and worry about if you choose to, but try not devote your energy to that. Avoiding the negativity that is a part of what we see a lot of what see is a hard thing to do, but it can be done if we make conscious decisions to do so.